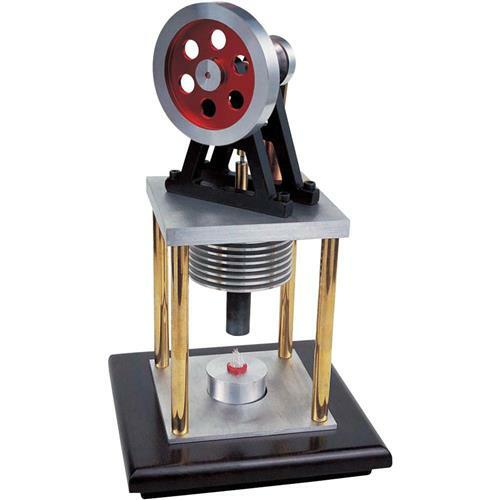 This vertically configured Stirling Engine operates by converting heat energy into mechanical motion. The Stirling engine was originally developed as a safer alternative to high pressure steam engine boilers. This working model is powered by a clean-burning alcohol burner. 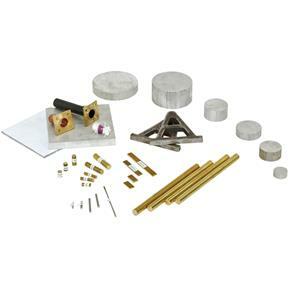 This kit includes the castings and raw parts required, so you can machine everything yourself—a great project for the aspiring machinist! For those who don't want to machine their own parts, choose the H8104 pre-machined kit instead. Hardware (nuts, screws, and washers) not included. Provided plans use metric dimensions and call for making metric threads. Made in an ISO 9001 factory.